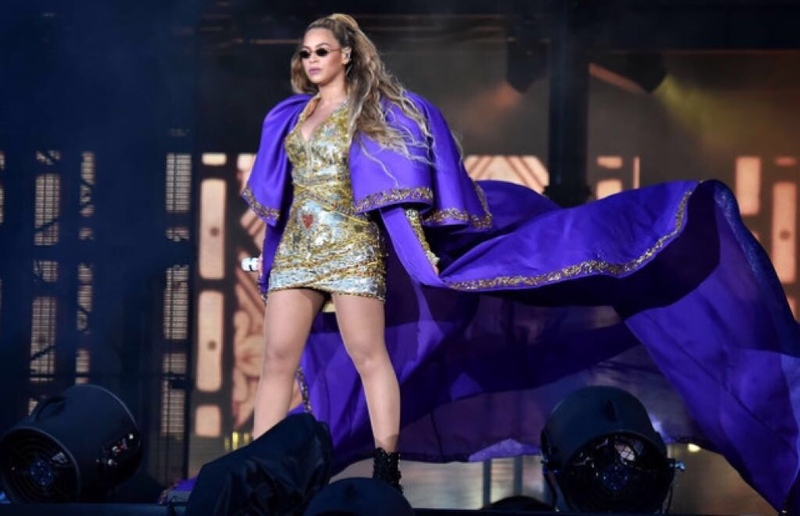 While continuing their “On The Run II” tour in Warsaw,Poland, Queen Bey, was left stranded, when the flying stage malfunctioned, in the midst of her performance. Dressed in a black romper and thigh-high boots, ready to close the show, a fan noticed the singer stranded and immediately started videotaping the incident. The video showed Bey being rescued, with the use of ladders, by her staff. Though, reluctant at first, Beyonce made it down safely, and everyone kept their jobs😂.